Thank you for letting us meet your family. We had a ton of fun and hope you did too! There are many options for creating a beautiful piece of artwork from your photos. If you choose to get wall art or gift prints your images will be fully retouched to remove stray hairs, bumps and scrapes, temporary tattoos and other distracting elements. Take a look at some of the options below and scroll further down to get to your images from the Fall Festival. Mark hand prints each fine art piece using only the highest quality archival papers. They are then framed using museum conservation materials and extra thick archival mats for beautiful lifelong display. Our Canvas wraps are 1.5" or 2' thick and created using extra thick-archival museum-quality canvas. They are varnished with both UV and water protective layers to last a lifetime without fading or wear. Gallery Mounts make wonderful gifts and display well both on stands as shown or as larger pieces on the wall. 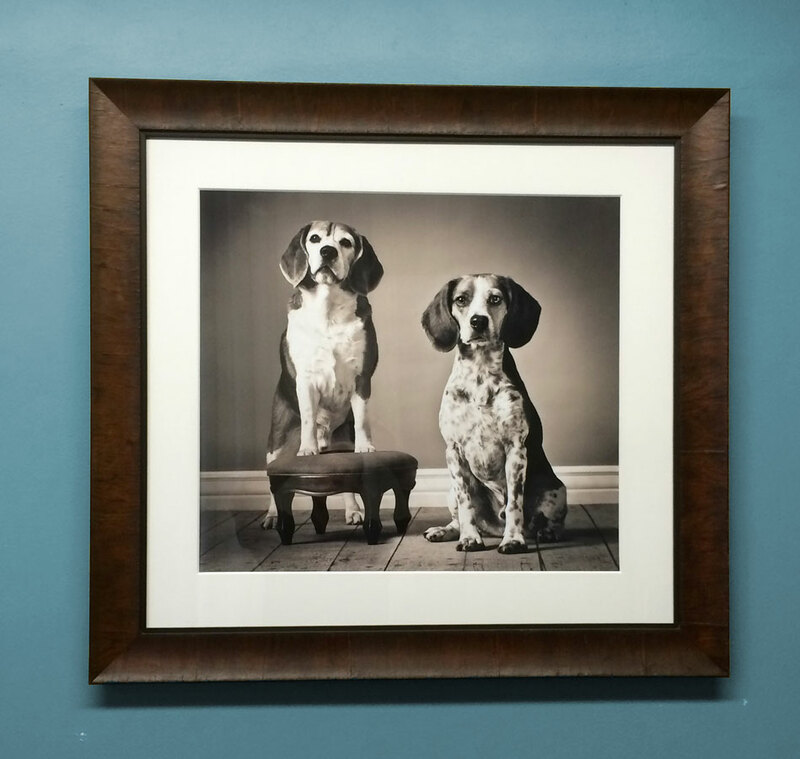 They are 3/4" thick and our archival prints are mounted to a wood base and the specially coated with a UV protective layer. These rich cotton cards are extra thick and soft to the touch. They come foil embossed with your favorite of many designs and are blank on the back for personalization. Mini Mounts are 5x5 or 5x7 wood mounted photos perfect for gift giving. They come with a build in easel for desktop display and are available in sets of 3 or 5. Fall Festival images are located here. Your favorite image is free as a non-printable social media download. If you'd like to order prints you may do so directly from the gallery or by calling 303-562-5536. The gallery options reflect a significant discount on gift prints available to you through Oct 25. Add any photo to your cart to see a full list of options and prices. Please consider joining us Oct 25 & 26 to have your whole family photographed. A $50 donation to the Food Bank of the Rockies will secure your session and get you a free image to use on your holiday cards. Reservations are required. Call 303-562-5536 to sign up. 100% of your donation goes to the food bank.